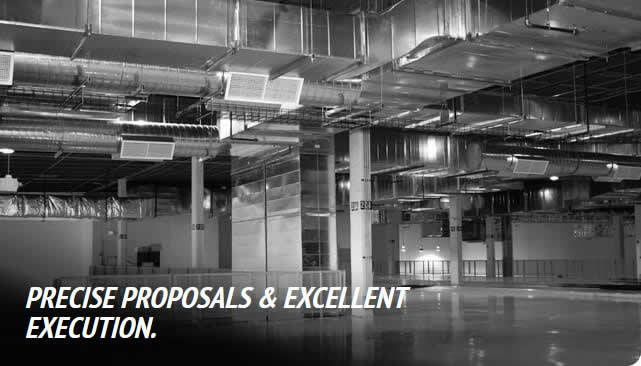 To eliminate the unwanted surprise of additional costs or time delays typically caused by incomplete specifications or inconsistent drawings, each of our proposals are detailed and meticulously prepared. We anticipate and factor in potential pitfalls so that each design and estimate provides an accurate representation of the budget and completed project. Members of our Sales/Estimating staff are assigned to work on projects from start to finish according to their area of expertise. Having a single point-of-contact responsible for keeping the customer apprised of a project’s status provides continuity, builds trust, and virtually eliminates miscommunication between RAM, customers, vendors, and subcontractors. Matching individual competencies to project requirements ensures that customers are working with people who understand the nuances involved with their particular subset of the construction industry. Your RAM service team member will have the experience and qualifications you expect and require for flawless execution of commercial or institutional facility.